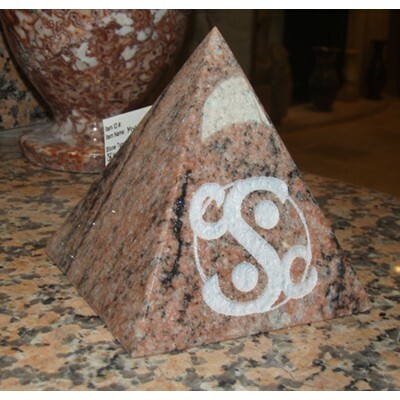 Stone home decor items are the perfect finishing touch to your home. Stone products can be both functional and decorative. With stone, the opportunities are endless. Explore some stone home decor items below. Stone vases can take any shape or size. 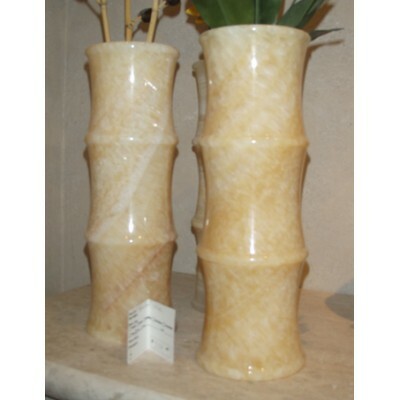 Each vase can be carved from a variety of stone types like onyx and marble. 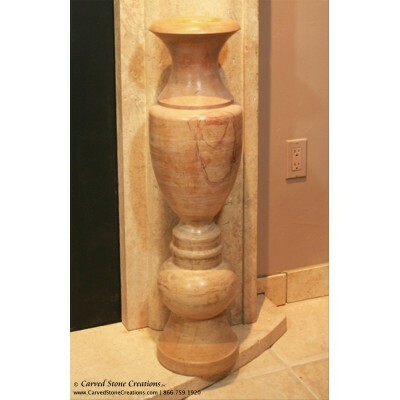 Since the vases are carved from natural stone, no two are alike. 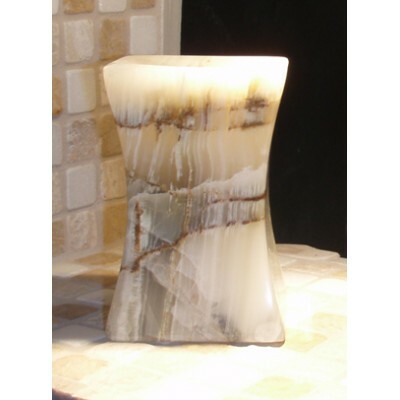 The unique veining and colors of hand-carved stone candle holders are the perfect perch for a candle. 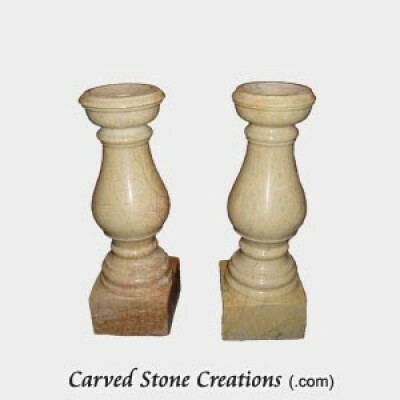 Consider adding stone candle holders to your fireplace mantel or coffee tables. Candle holders are available in intricate, classic designs and sleek, contemporary styles. 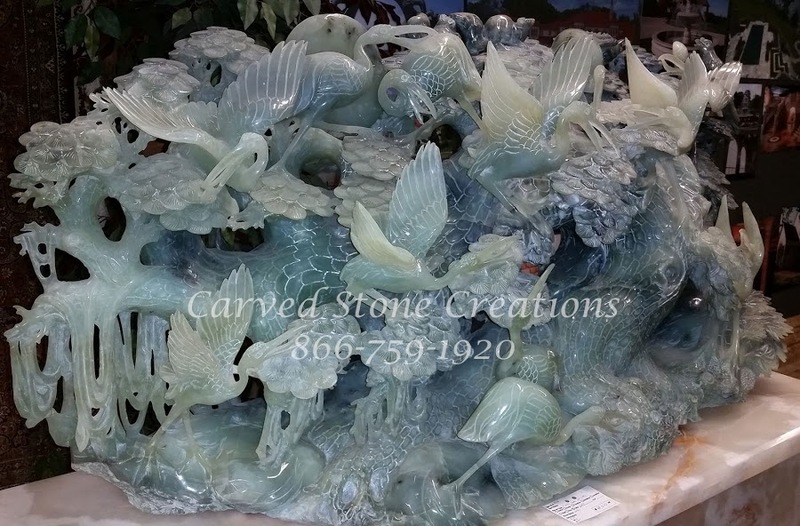 Jade carvings are available in many different sizes. Each carving is intricately carved with many details. The carvings each depict a unique scene. The carving below features a large oriental tree scene, luminous moon, detailed cranes and foliage. If you prefer a smaller sized carving, there are many different options to choose from. The piece shown below is carved from one single piece of jade. 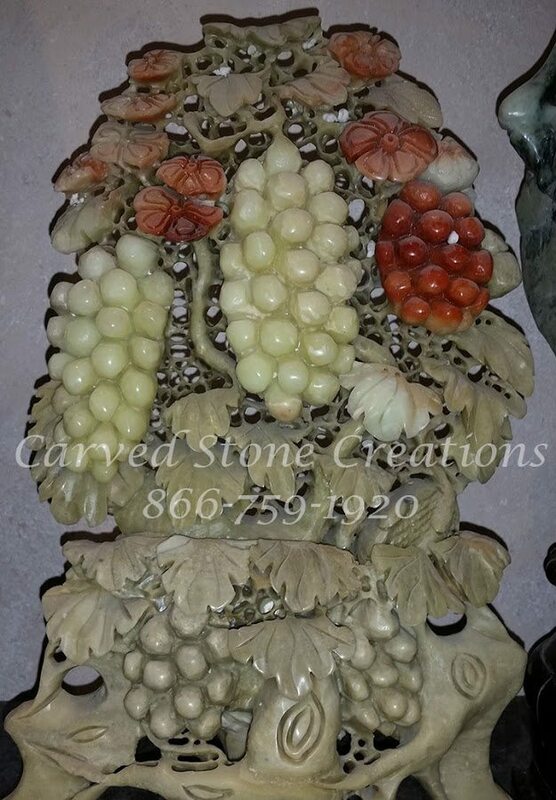 The sculptor used red color deposits in the jade to carve out the red grapes and flowers. The intricacy of this carving is breathtaking. Skip a traditional wooden table and add a touch of stone to your room with a hand-carved stone table. 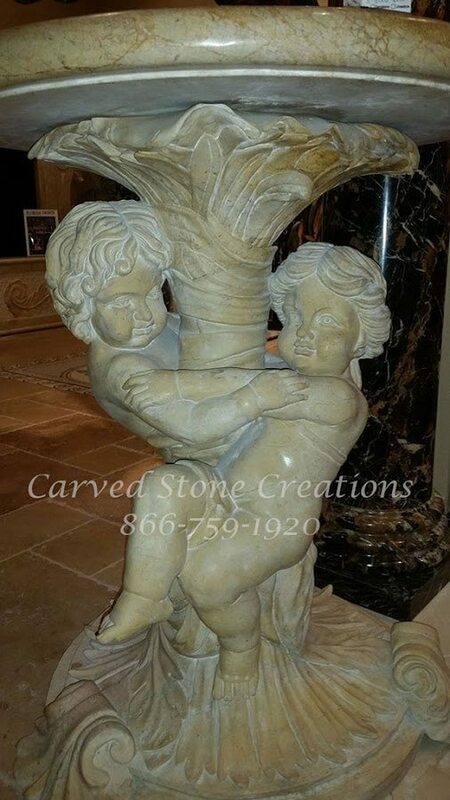 Stone tables are available in a variety of durable stones including travertine, onyx and marble. Add some stone to your desk at home or at work. 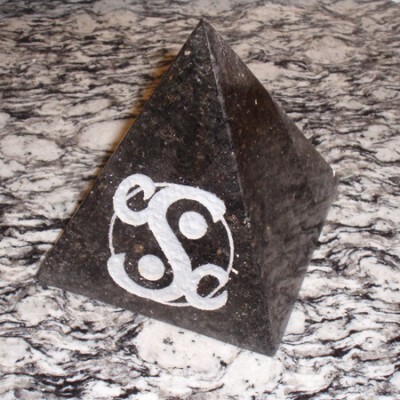 Paperweights that are carved from natural stone are one-of-a-kind and a beautiful addition to your office decor. 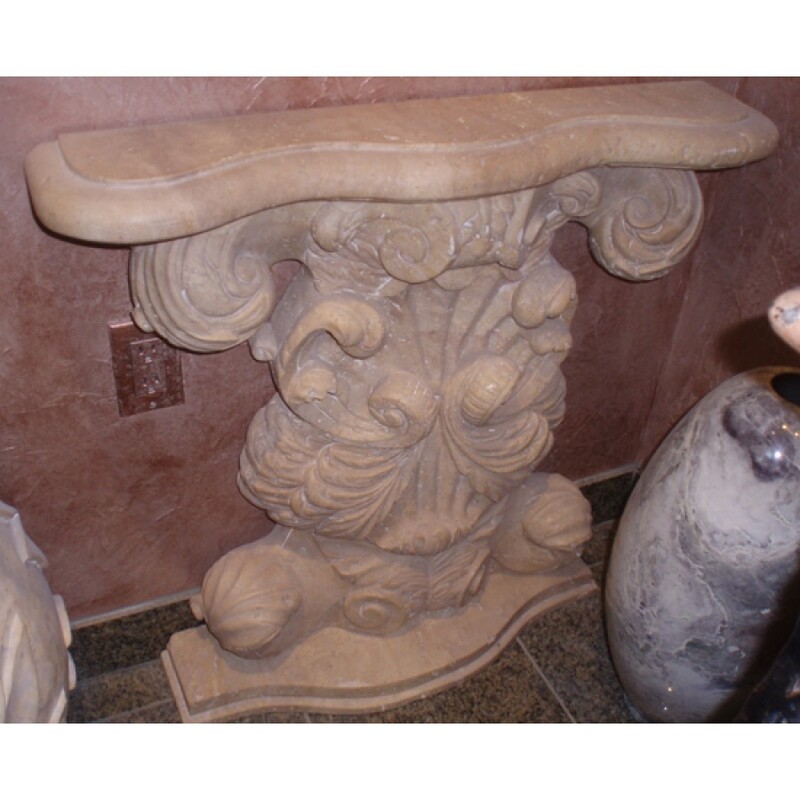 Whether you are looking to add a lot of stone elements to your home or just a touch, there is a beautiful stone home decor piece for you. For more ideas, view our home decor section in our online store.